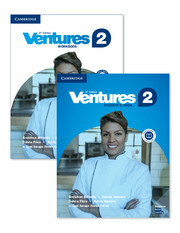 Get two essential student components at a discount when you purchase Ventures 3rd Edition Level 2 Value Pack. The Student's Book has lessons aligned to teach students the skills needed to meet CCR standards, with culture notes, speaking, reading, and writing tips to support exercises. 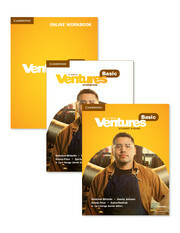 The Workbook helps reinforce lessons in the Student's Book with an answer key for self-study. Both books have QR codes to access audio for self-study, and in the Student's Book, there are QR codes to watch grammar videos.